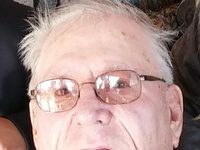 Jerald “Jerry” Myers,­­­ 65 of Thief River Falls, MN passed away on Tuesday, May 8, 2018 at his residence. 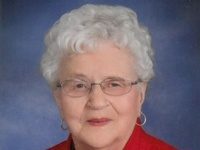 Funeral Service will be held at 10:30 AM on Tuesday, May 15, 2018 at Johnson Funeral Service in Thief River Falls, MN, with Rev. Ale Tulu officiating. Burial will follow at Silverton Cemetery, rural Thief River Falls, MN. Visitation will be held from 5:00 PM until 7:00 PM with a 7:00 PM Prayer Service on Monday, May 14, 2018 at Johnson Funeral Service. 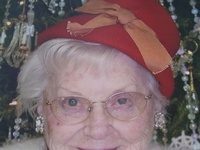 Visitation will also be held one hour prior to the funeral service on Tuesday at the funeral home. Jerald Ray Myers was born on February 13, 1953 in Thief River Falls, MN, the son of Bernard and Lucille (Williams) Myers. He was baptized and confirmed at Silver Creek Lutheran Church, rural Thief River Falls. 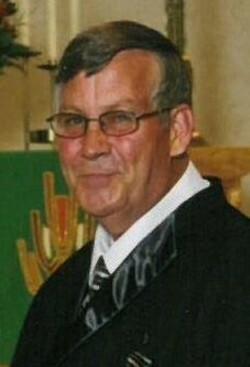 Jerry attended school in Thief River Falls and graduated from Lincoln High School in 1971. In high school Jerry was a proud member of the Prowler wrestling and football teams. Following high school Jerry farmed with his brother, Eldon on the family farm. On June 4, 1977 Jerry was united in marriage to Tobey Sollom at Zion Lutheran Church in Thief River Falls. Together they made their home in Thief River Falls and raised their family. After farming Jerry worked for Marvin Windows, Hydra-Mac, and Central Boiler. Jerry was an avid outdoorsman – enjoying hunting and fishing. He spent a lot of his time at the hunting cabin in Fourtown with his brothers Harold, Eldon and Daryl, brother-in-law Craig Pladson and lifelong friends Doyle Nelson and Kenny Lindquist. He passed on his hunting passion to his son’s Matt and Ben and grandchildren. He also made new hunting buddies in more recent years with each member of Whitetail Legends. When his children were young he enjoyed coaching their sports teams and following them through their school athletic activities. In most recent years, he enjoyed following his granddaughter’s basketball and softball games. Jerry will be remembered as an easy going man who enjoyed his family and friends. Jerry is survived by his children, Erica (Greg) Emmans of St. Hilaire, MN, Matt Myers of Thief River Falls, MN, and Ben (Jenny) Myers of Thief River Falls, MN; grandchildren, Breanna and Mason Myers; siblings, Harold (Marian) Myers of St. Hilaire, MN, Charlotte (Craig) Pladson of Ramsey, MN, Charlene (Bob) Kramlinger of Cottage Grove, MN, Eldon Myers of Thief River Falls, MN, and Daryl (Kathy) Myers of Richland, WA; and many nieces, nephews, relatives, and friends. He is preceded in death by his parents, Bernard and Lucille Myers.